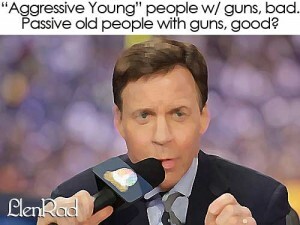 Home › Blog › 3 reasons why legendary super trendy Bob Costus wants Americans Unarmed. ‹ Is Wal-Mart Monetizing Mayhem? It’s the fault of the company who owns the truck the bar that served him, the company that made the booze, the county that failed to have a police presence to pull him off before he got someone killed, his employer for letting him near a bus…. . it/s 2012. EVERYONE is at fault; easier to sue.. . (Sorry; forgot the truck driver’s mother. ..good catch there! ) Probably his parole officer and the DMV as well. 3) I don’t actually want you – or anyone else dead. I’m they guy that runs towards the gunfire, the guy that would actually step in front of a gun for someone (yeah… ask me how I know this). Ah well. I don’t actually expect much from you. You seem to want a one sided arguement. I’m thinking of every single prerson whose child has been killed by the family gun. 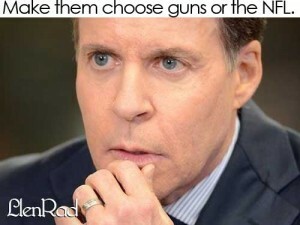 I’m thinking of every single person who has been killed by their own gun. i’m thiking that everyone – everyone – needs to understand that fewer guns means fewer deaths. How many times have these mass shooters been stopped by somone who isn’t a cop or military person? This isn’t a trend for me. this is how I grew up, this is what I’ve been about my entire life. I’ve been shot at – more than once. No one needs guns, especially not the damned assault rifle he was carrying. You want to use a gun for hunting? You want to use it for home d? Fine. Get something that you have to stop and reload after one or two shots. There is not one thing you can say to me that would make me change my mind. Do I fear my children being killed? Of course. But I fear the implications that arise when I teach my kids that killing is OK. I’m not a fan. I don’t think anyone should be a fan, really. You agree that you’ll go out for Christmas and to get a firearm to protect your household and I’ll agree that trendies are reasonable.